Facebook 1.5 for BlackBerry | BlackBerry Blast! There has been chatter about Facebook 1.5 for BlackBerry for awhile now, but it looks like it may just be around the corner. 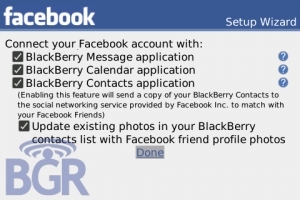 BGR has published this shot of the latest Facebook app for BlackBerry. BGR reports lots of new features with this release.